You’ve probably heard it said that everything is bigger in Texas. We beg to differ. Almost everything is bigger in Texas. One notable exception are home prices. According to Forbes, the average home price in Texas’ 20 major cities ranged from $147,000 to $266,000 in 2018. That’s about half of the median price for a single-family home in California, which is $549,000. If you want to live in San Francisco, your average-priced home is around $1.4 million, which is actually more than the median price in another of the nation’s priciest markets — Manhattan at $1.075 million. The median price in the United States is just under $300,000. Have interest in a state not listed above? See the full list here. 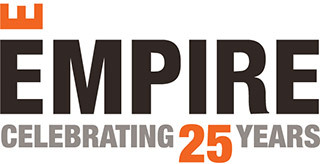 Empire Communities can be found in three major Texas markets: Austin, Houston and San Antonio. In Austin, we offer homes in 12 communities, with pricing from the $215,000s to the mid $900,000s. Home buyers will find plenty to choose from in Houston, as well, where homes in nine Houston-area developments are priced from the $190,000s to more than $700,000. And in San Antonio, Empire Communities offers designs in three developments, with pricing from the upper $300,000s to more than $450,000s. Making the move to Texas or are you already lucky enough to live there and are searching for a new home? Start here.